Florida is a paradise for foodies who crave locally sourced, farm-to-table and fishing-boat-to-table fare. Florida is a paradise for foodies who crave locally sourced, farm-to-table and fishing-boat-to-table fare. 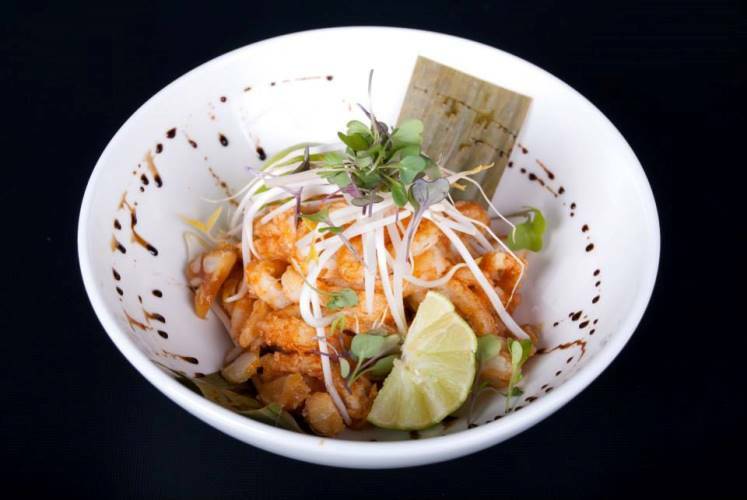 The state's fusion cuisine blends homegrown tastes with Latin and Caribbean influences. Innovative new dishes like lobster strudel and homemade lemon ricotta pancakes tempt discerning diners, and tried-and-true classics like key lime pie and fried Gulf shrimp keep 'em coming back for more. 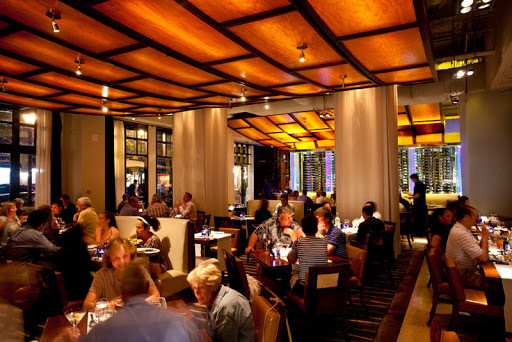 Jackson's is considered one of Florida's top 25 restaurants, and was even placed by Distinguished Restaurants of North America in the top 2 percent of all fine dining restaurants in the country. It overlooks Plaza Ferdinand, where, in July 1821, Gen. Andrew Jackson accepted the transfer of Florida to the U.S. and raised the American flag in Pensacola for the first time. The atmosphere in the restaurant reflects this historic moment, from the symbolic handcrafted tree-branch light fixtures to the mural behind the bar. Founding Executive Chef Irv Miller's Southern-influenced cuisine features the emblematic foods of "real Florida," such as Apalachicola Bay oysters and Alligator Point wild-harvested clams, Pensacola and Destin red snapper, North Florida shrimp and numerous other seafood delicacies caught responsibly off the Florida Gulf Coast. Destin's Cuvee Bistro offers classic French-, Asian- and Italian-influenced delicacies along with award-winning signature dishes by proprietor and Executive Chef Tim Creehan, making it a must-dine stop for foodies and tourists alike. A Wine Spectator Award of Excellence winner from 2011 to 2013, Cuvee's stunning wine list and other fine libations enhance the epicurean experience. The "Best in Destin"-voted Happy Hour starts at 5 p.m., with a tempting variety of specials, including martinis so popular they have their own menu. 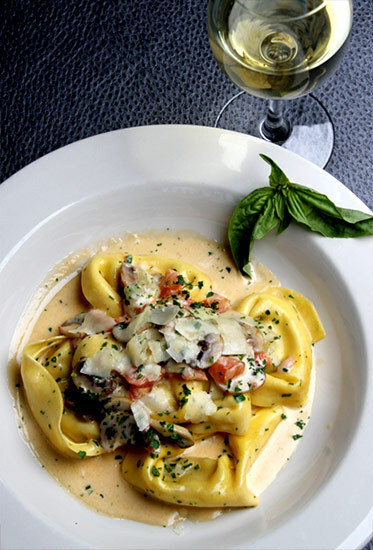 Born from a love of cooking, deep Italian roots and a desire to delight patrons, Clemenza's in Fort Walton Beach encompasses all that is good about Italian cuisine. The restaurant offers delicious dishes that are a combination of authentic Italian food, fresh-caught coastal cuisine and a little bit of Southern Creole spice. Be sure to celebrate the weekend with Mama Clemenza's European Breakfast - from the Italian Breakfast Panini, served with prosciutto, eggs and Gruyere cheese, to the exquisite Lemon Curd Ricotta Pancakes, everything is cooked with homemade attention. Famed local chef Matthew Medure is the man behind one of Jacksonville's best restaurants. The beautiful menu and perfectly crafted wine list is constantly evolving and improving, depending on the season. Each year since 1999, Matthew's has been granted the Award of Excellence from Wine Spectator magazine, and has also been bestowed the prestigious AAA Four Diamond award. Everything on the menu is worth sampling at this intimate Jacksonville eatery. If you're having a hard time choosing between all the delicate and impressive dishes on the menu, try the Chef's Adventure Tasting Menu. 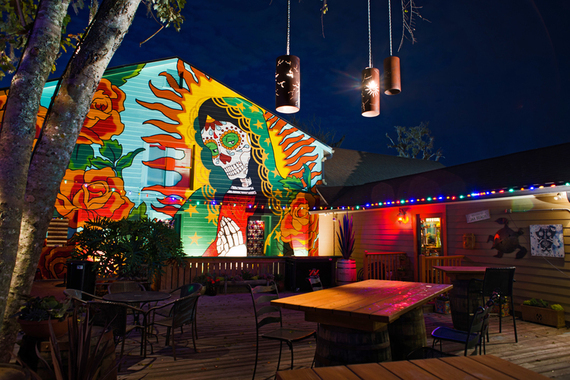 Good food, good drinks, great vibes - that's what is served at TacoLu in Jacksonville Beach. This locally owned and operated restaurant is a favorite among Jacksonville residents because of its low-key atmosphere and delicious Mexican food made with only the freshest ingredients. You can't come to TacoLu without trying one of the famous namesake tacos - a good bet is the "10 dollar taco," a secret menu item complete with fresh strips of filet mignon, lettuce and pepper jack cheese. Wash it down with a refreshing Pinarita - a pineapple margarita with cilantro - or a sangriarita. 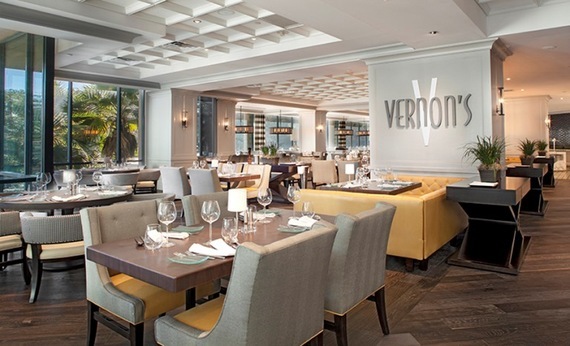 Vernon's is the award-winning signature restaurant at the Sawgrass Marriott Golf Resort & Spa in Ponte Vedra Beach. The namesake restaurant of Vernon Kelly, the real estate developer who helped craft the renowned TPC Sawgrass course, it's a destination for foodies as well as families. 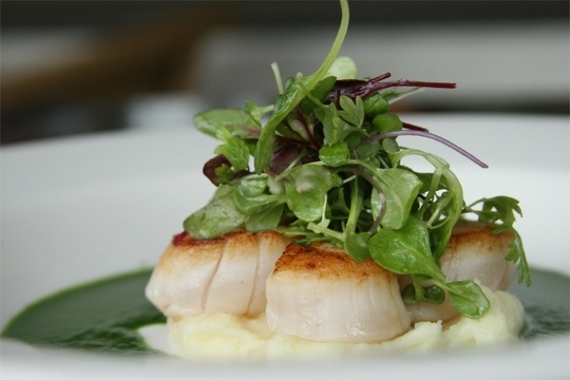 Vernon's features fresh Florida seafood, masterfully cut chops, locally sourced vegetables and an enviable wine list. Enjoy breakfast or dinner and a floor-to-ceiling window view of the resort's signature waterfall and lagoon, or watch the sun go down on TPC Sawgrass. Aunt Kate's sits on the bank of the Tolomato River, with outside decks set up perfectly to provide views of the ever-changing sunsets. Continuing a tradition of more than 100 years spent serving the best in local seafood, the Usina family has been operating the restaurant since railroad tycoon Henry Flagler stepped through the doors in 1900. 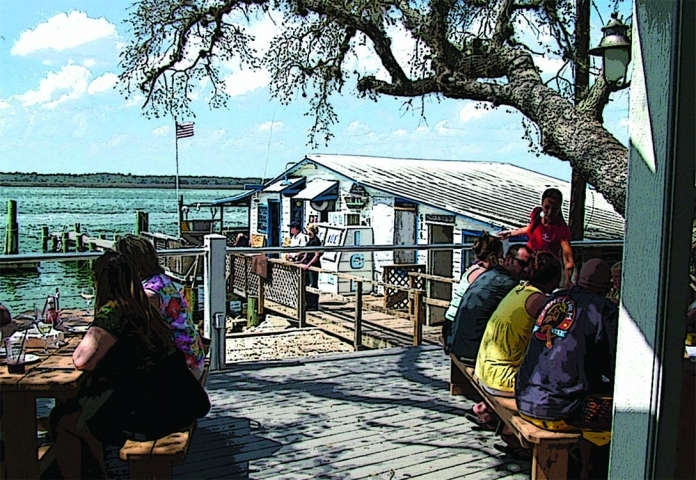 The restaurant serves local favorites like steamed oysters and crab, fried green tomatoes, chicken or shrimp pilau (a Minorcan rice dish), corn bread and pumpkin bread, and fresh fish and shrimp. 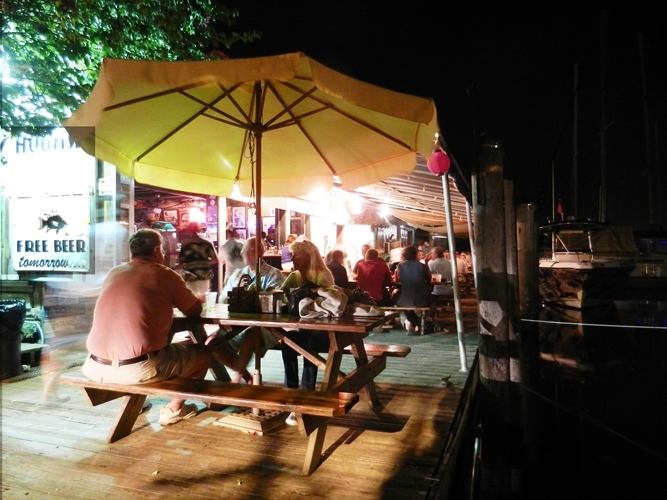 Head out to the deck and enjoy fan favorites such as Minorcan Clam Chowder or St. Augustine-Style Shrimp. Fusion 43, a rustic, Victorian-style restaurant in the heart of Ormond Beach's historic district, takes diners on a fwide-ranging culinary journey. At the soon-to-be-open speakeasy-themed upstairs bar, patrons will be able to enjoy a Fusion 43 Signature Drink or other craft cocktails. In the kitchen, Chef Mark creates an abundance of rare, hard-to-find fare that changes with the seasons. He recently debuted the new "Calribbean" menu, which features one of his most popular dishes - Ducks in a Row. With its combination of duck and dried blueberry-herb sausage, the flavorful dish is served with friend plantains and French green beans in a port wine reduction, making it a favorite among regular diners. Carnivores, herbivores and avocado lovers delight in The Dancing Avocado Kitchen, home to a variety of dishes created using fresh-from-Florida fruits and vegetables. The restaurant has an atmosphere that's bright, happy and buzzing with energy and vibrant color. To compliment any dish on the menu, make sure to ask for the mysterious and famed Dancer Dust, a blend of 11 herbs and spices known only to the chef who created it. Indulge in the Dancing Avocado Melt, the most popular sandwich on the menu. 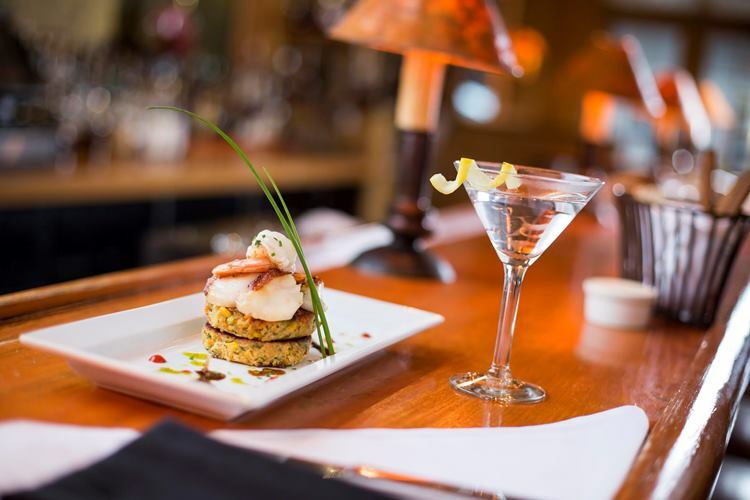 Although the Island Hotel & Neptune Bar offers fine dining, it does so in a casual, relaxing atmosphere in keeping with the Cedar Key attitude. Dating back to 1946, the Island Hotel and Neptune Bar continues to pride itself on local seafood and produce, coming off the boats on the Big Dock and from area farmer's markets. Join Chef Kim Cash for some of the freshest seafood dishes on Cedar Key, such as the Artichokes Atsena Otie, featuring sautéed artichoke hearts, scallops, shrimp and mushrooms splashed with sherry in a rich cream cheese parley sauce. Experience the fresh gourmet coffee, scrumptious sandwiches and real fruit smoothies of Kona Joe's Island Café. Relax into the friendly atmosphere on the private deck, where you can enjoy your meal while watching pelicans play on the Back Bayou. Stop by and try a slice of the famous Blue Crab quiche, baked fresh every morning. 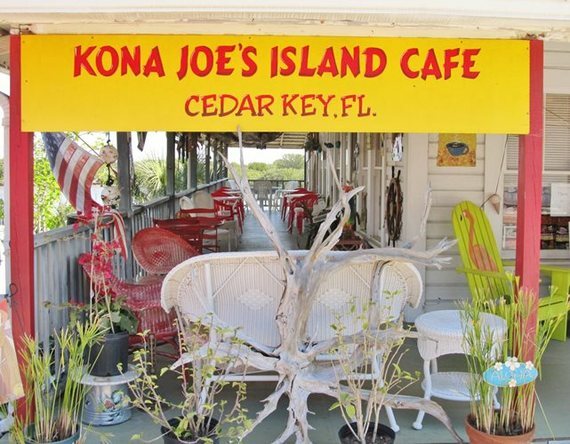 Don't leave without a hand-dipped ice cream cone, or a slice of Edie's famous Cedar Key Lime Pie. This upscale Winter Park restaurant showcases inspiring American cuisine and daily menu updates with one of the most extensive wine lists in Central Florida. With an open view of Park Avenue, the restaurant's contemporary décor presents the perfect backdrop for an elegant evening out. The menu offers two distinct dining experiences - small-plate light bites and indulgent multi-course prix fixe feasts. From the Snake River Farms Flank Steak to the Madeira Beach American Red Snapper, Executive Chef Brandon McGlamery serves the freshest seasonal ingredients, pairing each of his entrees with a selection from the wine list. Voted "Orlando's Best Burger," this casual eatery is a simple yet favorite spot among local diners. 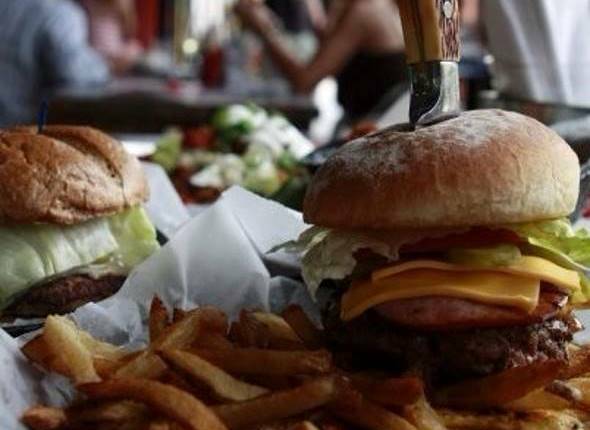 Graffiti Junktion serves a wide variety of specialty burgers, and is admired as a restaurant where traditional hamburgers meet a full bar for lots of personality and fun. With a variety of locations around Orlando, stop in and try The Big Apple, an 8-ounce Angus beef burger topped with brie, bacon and Granny Smith apples. A high-end culinary delight located in downtown Punta Gorda, Trabue's name derives from the original name given to Punta Gorda in 1885, which was named after Col. Isaac Trabue, who had purchased the land from British investors. With a contemporary vibe and modern décor, Trabue features a rich color palette and a modern atmosphere. The ambiance is enhanced with garden seating. Chef Keith Meyer prides himself on his approachable rustic Southern dishes, ranging from escargot to a bone-in braised pork chop. 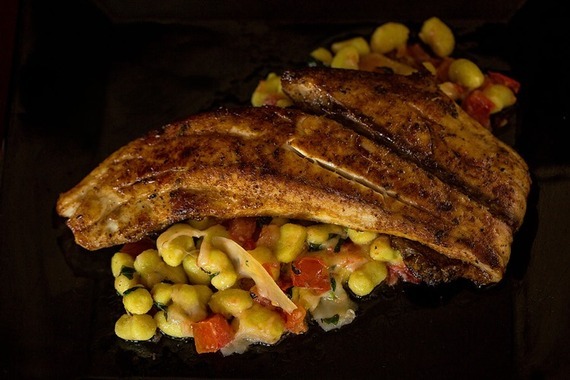 The menu is always brimming with from-the-Gulf seafood, such as mahi-mahi, snapper and shrimp. To complete the meal, the Meyer Lemon Cheesecake New York Style is a must. 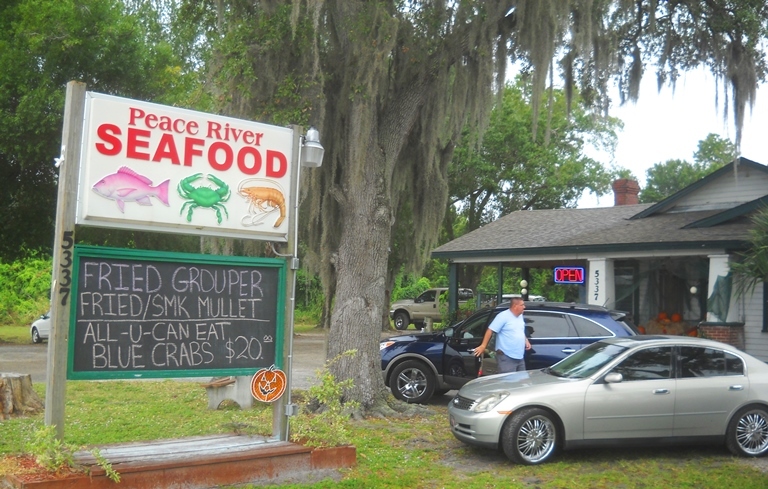 The essence of a quintessential Florida Cracker crab shack, Peace River Seafood is where the fishermen, crabbers and shrimpers land their catch. A must-visit time of year is stone crab season, which runs mid-October to mid-May. During that time, the succulent crab claws are the top draw on the locally sourced, seafood-centric menu. Year-round, blue crabs arrive by the crate and are prepared out back almost as fast as they come in. 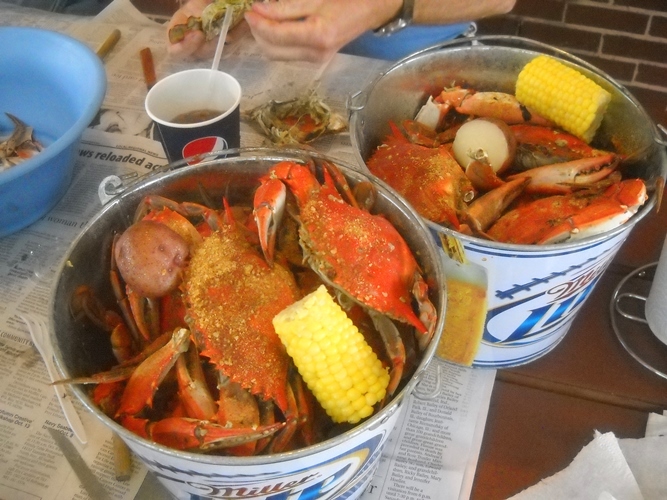 Spilling out of tin buckets - all you can eat from 11 a.m. until 5 p.m. Tuesday through Saturday - the crabs are accompanied by the requisite wooden mallets, corn-on-the-cob, red potatoes and lemon wedges. The restaurant also has its own parrot, petting zoo and live music. 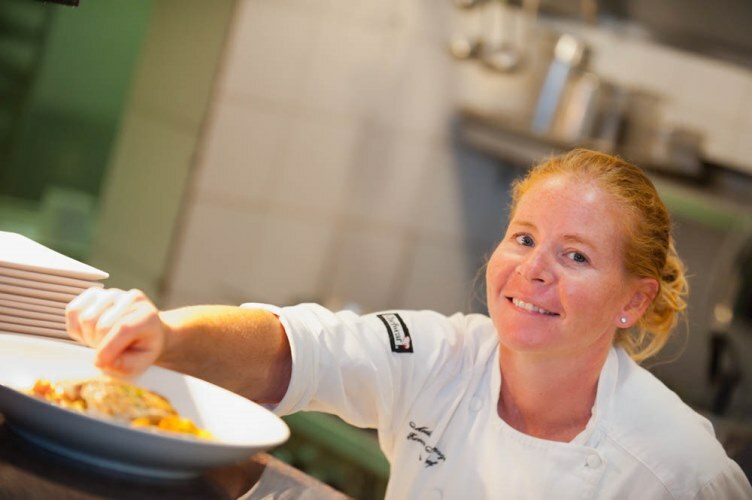 Experience the award-winning Sweet Melissa's Café on Sanibel Island, where Chef Melissa Talmage challenges your taste buds with a creative menu featuring a wide array of different tastes, textures and eclectic ingredients. The restaurant exudes warmth, compliments of its sedate atmosphere and impeccable service. Fine linens and a cozy bar add to the experience, while soothing live acoustic jazz sets the mood on select evenings. Named "Best Dining in Lee County" by Gulf Shore Life, the dinner menu offers entrees in full portions or small plates, giving diners the ability to enjoy multiple dishes in one visit. Don't miss the Fish Stew, featuring mahi-mahi or redfish combined with scallops, shrimp, clams, mussels, chorizo and fennel, complete with a lemony saffron cream. Delray Beach's foremost oceanfront restaurant has established itself as the ideal destination for fresh seafood and dishes featuring locally sourced, sustainable fruits and vegetables, combined in a creative and inspired menu that changes with the seasons. 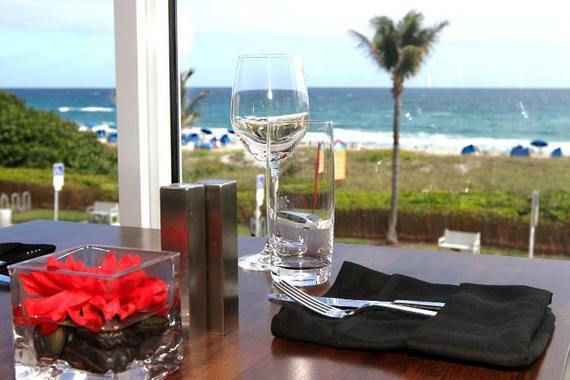 The chic, contemporary restaurant has a vibrant week day Happy Hour, with complimentary ocean views. 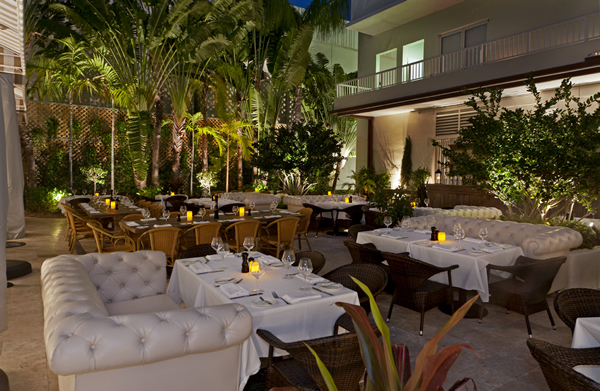 Villa Azur brings a new experience to the South Beach dining scene, combining excellent cuisine with a vibrant atmosphere. 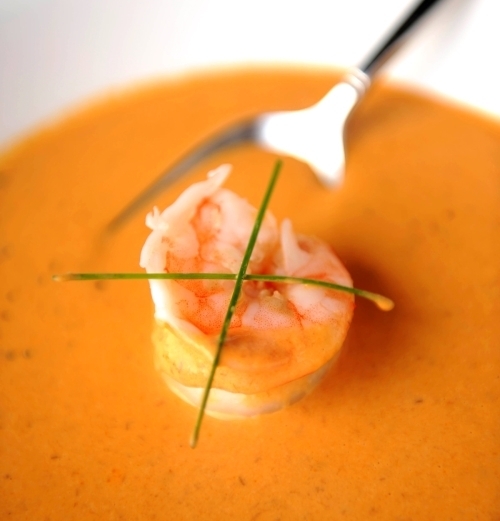 This elegant gourmet restaurant offers tantalizing French Mediterranean dishes prepared with an Italian twist. The romantic decor features an interesting contrast of vintage and modern motifs by mixing antique woods and chandeliers with contemporary furniture. The chic elegance of the décor matches that of the menu, which features an extensive raw bar lineup and a variety of tartars and carpaccios. The food can be paired with fine wines from the restaurant's in-house wine cellar, La Cave d'Azur, or with a signature cocktail from the extensive drinks menu. Enjoy an exquisite meal with a spectacular view at Atlantic's Edge. Offering indoor and outdoor dining with panoramic views of the Atlantic Ocean, this Islamorada restaurant is a culinary destination in and of itself. One of the best luxury restaurants in the Florida Keys, Atlantic's Edge features a seasonal fine dining menu with fresh local seafood, including hogfish, grouper and seared triple tail. If you happen to catch a fish yourself while staying at the resort, the restaurant will cook it for you in the style of your choice. 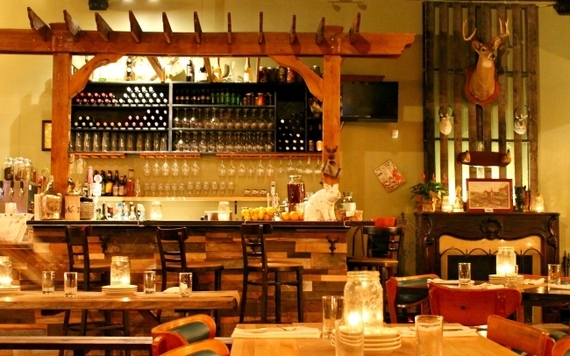 In addition to seafood, the restaurant serves prime steaks, fresh pasta and locally-grown produce. Round out your meal with a selection from the Wine Spectator award-winning wine list, and a tempting dessert such as the Tahitian Vanilla Bean Crème Brulee. Hogfish Bar & Grill serves up fresh local seafood right off the docks, including the Keys delicacy hogfish, a diver-caught fish with a light, flavorful taste. 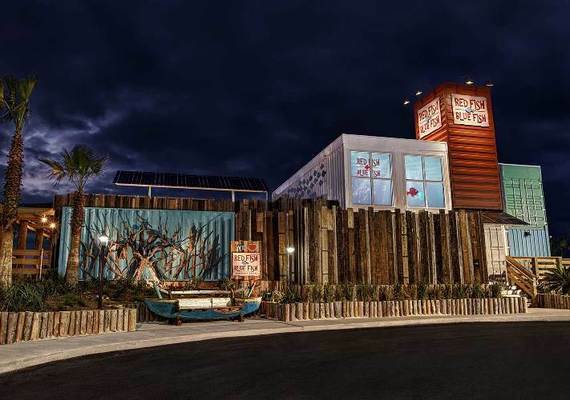 Owner Bobby Mongelli has turned the bar and restaurant, located on a canal and marina that's home to working vessels and colorful tenants, into a locals' favorite emporium. 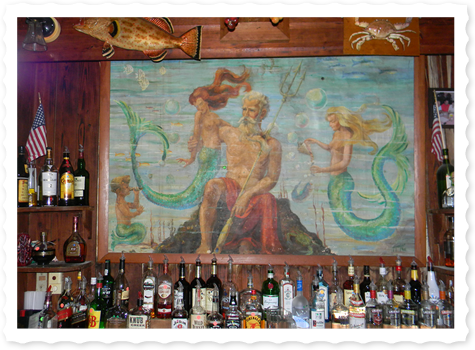 The restaurant is famed for its "killer" hogfish sandwich, smothered with Swiss cheese, onions and mushrooms, all on fresh Cuban bread. If you're a connoisseur of burgers, find the great American burger with a decidedly Florida twist at more than a dozen locations around the Sunshine State. And the foodie tour doesn't have to stop there. 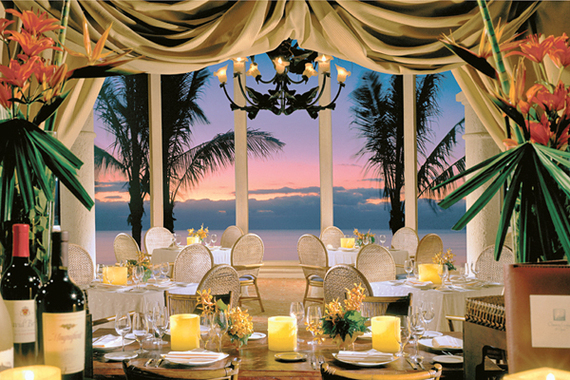 Dining options are endless. If you're still craving the perfect culinary experience, check out VISITFLORIDA.com/Dining or follow VISIT FLORIDA Food and Dining Insider Rachelle Lucas.